Melbourne-based freelance journalist, with a passion for print and podcasts. 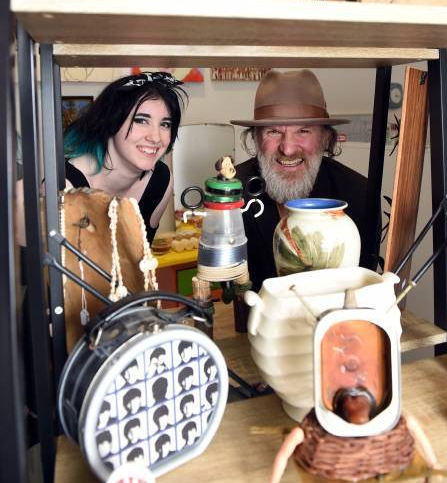 Goat House Studio is open for business, and it’s unlike any other studio in Ballarat. Owners and artists Andy Ferguson and Arky Fitzwater dream of setting a live-art exhibition of a nanna sitting in a bath tub of minestrone, for one thing. Written for the Ballarat Courier, Fairfax media.